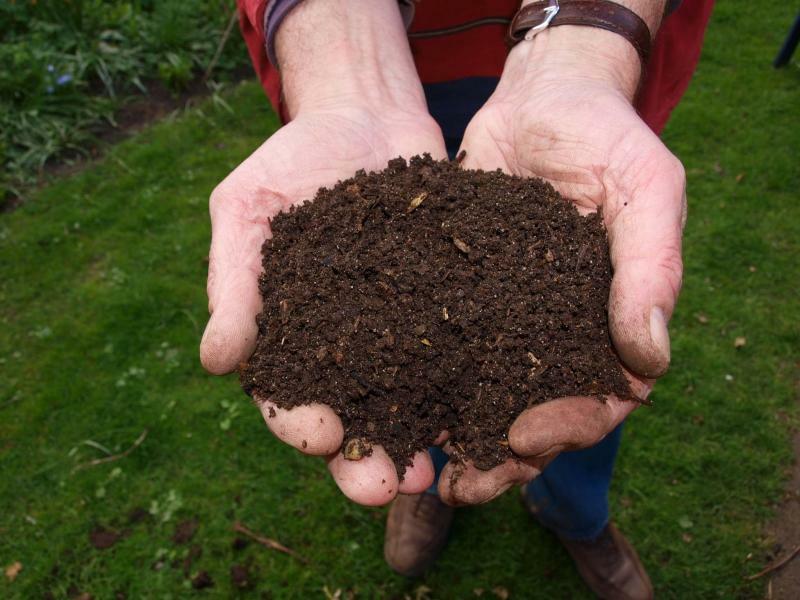 The gold standard of soil is crumbly soil teeming with ecological micro-communities. Ideal for growing healthy plants. Poor soil? Grow mushrooms in your backyard and generate both food and nutrient-dense soil. Straw bale gardening is a unique way to grow plants. Bonus: as bales decompose, they feed your soil. 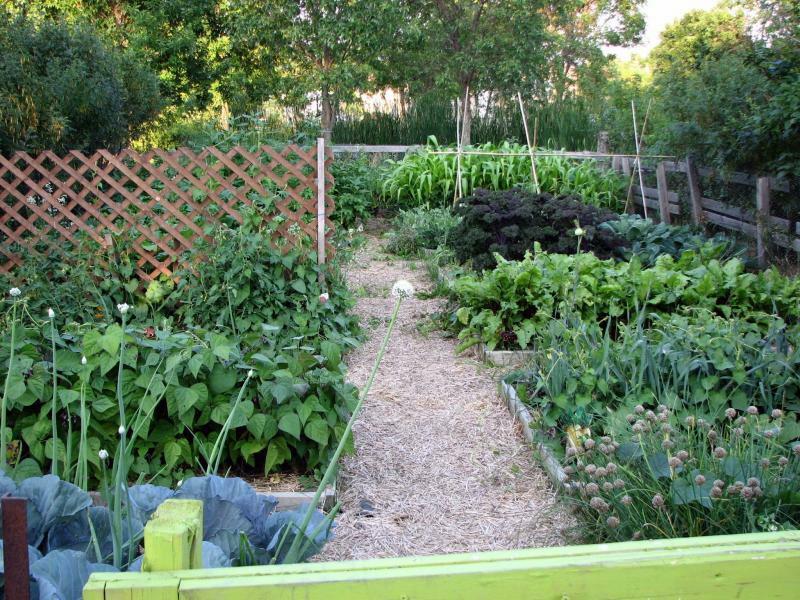 Lynne Vickery’s forest garden is a model of permaculture principles such as no-till and chop and drop practices. A growing number of homeowners are exploring a range of techniques designed to grow healthy soil and increase its fertility by mimicking the examples of recycling that are found in nature. Lynne Vickery is a nurse by profession as well as a master gardener and permaculturist. Her daughter Rebekah has a degree in agroecology. Together they form a team known as The Claykickers. Rebekah says there are three common practices that are soil killers: chemical disturbance, mechanical disturbance and failure to replace nutrient profiles by not returning decomposing material to the soil. Instead of stripping wet leaf litter from garden beds in spring, for example, they leave it to dry and then crumble the leaves. As in the forest, Lynne says, decomposing leaves return nutrients to the soil such as carbon, nitrogen and phosphorus. The Vickerys live on six acres east of Winnipeg where they are growing a food forest, which includes 14 vegetable boxes and a fruit orchard. Soil-building is community-building, Rebekah says. Healthy soil is soil that is teeming with ecological micro-communities that include beneficial insects and micro-organisms. Mother Nature never has bare Earth, nor does she ever turn the soil in great big swaths, which, Lynne says, is tantamount to murdering microscopic creatures. In addition to a no-till ­approach, Lynne and Rebekah use a chop and drop system to add to the mulch layer in their garden. Weeds are pulled before they go to seed and the debris tossed back into their garden or added to their compost bin in order to take advantage of the nutrients they release as they die. Weeds such as dandelions perform a function, Lynne says. Their deep tap roots pull up potassium and nitrogen from the soil that other plants are not able to access. Shelling peas? Throw the shells back into the garden. Rhubarb leaves? Mow over them and leave them where they are. The Vickerys are also proponents of hugelkultur. A unique raised bed technique, hugelkultur basically involves digging a small trench, filling it with debris such as fallen twigs, branches, leaf litter, dried stems of perennials and grass clippings. The layers of debris are covered by a mound of manure and compost and then a layer of topsoil to create a bed for planting. A mulch layer may consist of leaves, natural wood chips and straw. The beauty of hugelkultur is that it is a closed loop system, Lynne says. Nothing is wasted but, also, heat is generated by the biological processes in the mound which in turn accelerate the breakdown of the layers of organic material. As the breakdown takes place, moisture and nutrients are made available to the growing plants and, ultimately, transform the soil beneath the layers of debris into nutrient-dense, friable soil. Normand Sylvestre has embraced hugelkultur. The soil on his property, located south of Winnipeg, is heavy clay. With the help of his brother Barrie and a backhoe, Sylvestre has dug a series of trenches that are 90 centimetres wide, 90 cm deep and eight metres long. Early this spring, he gathered deadfall from everywhere on his property, including decayed logs, and cut it all into 90 cm lengths. Beginning and ending with a layer of grass clippings, he is filling the trenches with all of his deadfall, adding smaller material and fully decayed material at the top of the trench. For the mounds above, Sylvestre is adding well-rotted manure and four-way soil mix which he plans to buy from Gauthier Soils. At their highest point, the soil mounds will be 90 cm tall tapering to 45 cm at either end. Sylvestre plans to build cedar boxes around each of the hugelkultur beds and add temporary hoop frames to support row covers so as to generate a few more degrees of warmth to protect new seedlings from a late frost in spring. In all, Sylvestre plans to create seven hugelkultur beds, but only three will be completed in time for this year’s planting season. One of his goals is to no longer use any type of fertilizer to grow his crops. It takes approximately three years for the organic material in hugelkultur beds to decompose. Tunnelling by increased numbers of earthworms promotes improved aeration and drainage. One of the benefits of the rich growing conditions, Sylvestre says, is an increase in crop production. Tom Nagy is a local ecologist who recommends the use of certain types of mushrooms to remediate and improve soil. Nagy says that the potential is enormous. 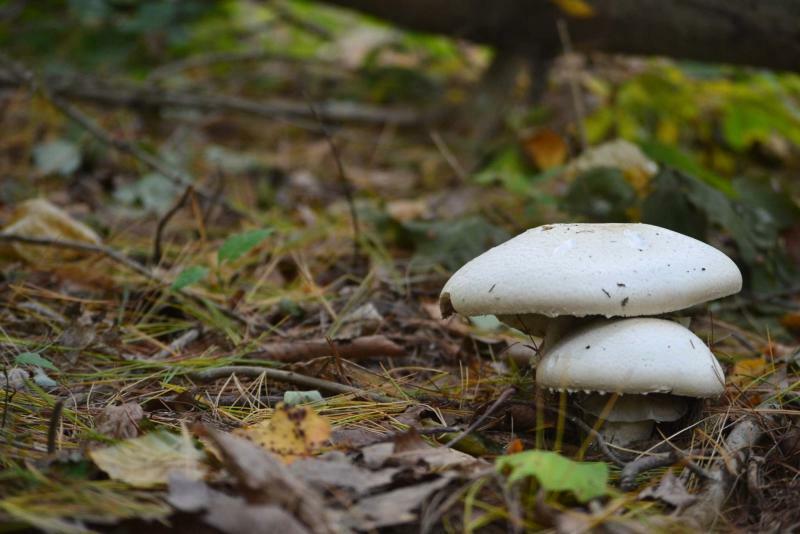 "Basically, mushrooms are essential decomposers in terrestrial environments," he says. "They break down and recycle nutrients and convert them into a format that can be used by the next generation of life." Start by growing oyster mycelium in a pail of straw or sawdust in your backyard. While you are generating mushrooms that you can eat, Nagy says, the mycelium breaks down the straw or sawdust which you can later add to your soil as a nutritious medium. Perhaps you have a large pile of arborist wood chips. By mixing winecap mycelium into the wood chips, Nagy says, you are generating delicious mushrooms you can eat, but in addition, the wood chips are digested by the mycelium, thereby liberating all the nutrients found in the wood chips and returns them to the soil. Eventually, woodchips break down by themselves through the decomposing process, Nagy says, but if you are purposefully adding fungi that are well-suited to breaking down that material, then you basically increase nature’s efficiency and generate food and soil faster than would naturally occur because you are introducing it at a higher concentration. Any home gardener, Nagy says, can add fertility to their soil by growing mushrooms in direct association with the other plants that are growing in their backyard. It presents an opportunity for us to embrace something different that can be very beneficial. Terry Neufeld, a flower farmer and owner of Sweet Petals Farm, wants to free up space in her large garden to grow more flowers but without sacrificing all the vine plants — pumpkins, watermelon and squash — that she likes to grow. The solution? She plans to try straw bale gardening. 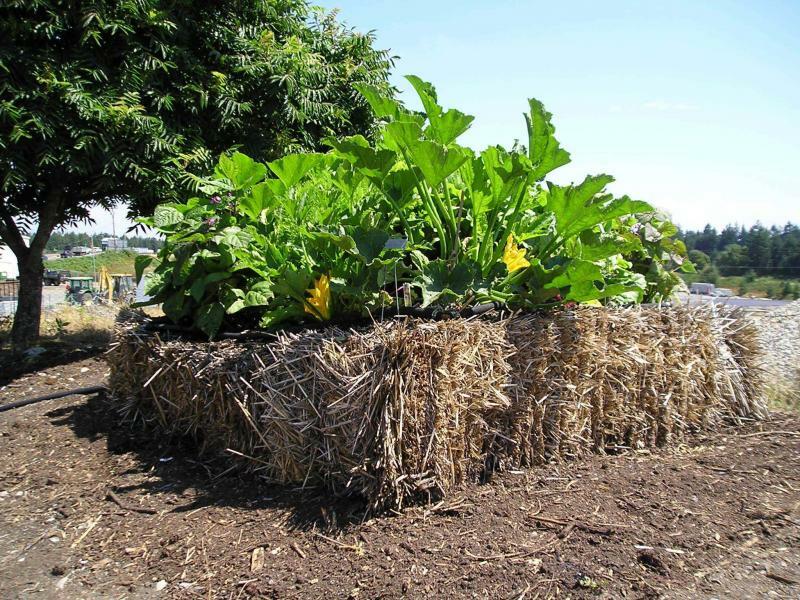 Bonus: at the end of the growing season, she will spread the straw on her garden where it will break down and add nutrients and structure to her soil. Neufeld has placed 12 straw bales on unused, rocky ground in a sunny area of her property. Before planting, she says, straw bales must be conditioned for about 10 days to two weeks. The first step is to water the bales until they are saturated. Next, add an organic high nitrogen fertilizer and soak the bale. This helps to generate heat, Neufeld says, and the bales start to decompose. The next step is to add a granular all-purpose organic fertilizer and water it in well. Next, she will add a good quality soil mix to which compost has been added followed by another soaking. The heat produced by the active biodegrading promotes healthy root growth for plants. Neufeld plans to wait until the May long weekend before planting two vine plants per bale. She’ll keep us posted.